Unfortunately, one of the most important aspects of running an illustration business is actually running a business. Amongst other things, this means everyone's favorite past time... doing your taxes. Many illustrators wait until April to even start thinking about their taxes, and then get a really nasty surprise when they find out they have to pay the government a ton of money. And although there is little you can do to avoid that completely, there are things you can do to help reduce that expense greatly. The fiscal year ends in two days, so this is your last chance to rack up some deductions on your 2015 taxes. If you're an artist in the United States, anything you spend 'making' art gets written off your taxable income. That is, if you make $50,000 a year, but spend $10,000 on art supplies, you only pay taxes on $40,000 (This is called your 'taxable income'). This can make a massive difference in what you owe, depending on how much you write off. Although these things deductions need to be accrued in 2015, you don't actually have to make use of them immediately. So even just buying this stuff today, regardless of it's arrival date, still makes them valid deductions. Fortunately, racking up a few deductions is a LOT more fun than actually paying taxes. As artists, we get to be a little creative about what we write off. Did you know that a comic book artists gets to write off comic books? Concept artists get to write off video games. 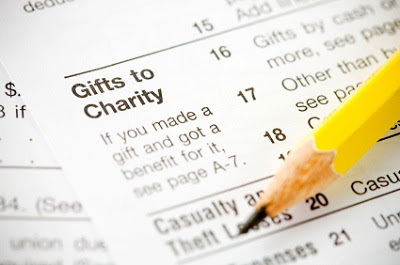 In fact, there are a lot of things you might not think are tax deductible that really are. And charitable donation to a non-profit organization is 100% tax deductible. There are even several art related charities like CBLDF, but you can donate to anything you want, be it a church or hospital. Studio getting a little cramped? Clear out some of those old closets and make some space! When you drop off donations to places like GoodWill, ask for a receipt. You will have to declare an estimate value on your donations, but you'd be surprised how quickly a few pairs up jeans adds up. Big expenditures like this are extremely helpful because they are split up and written off for multiple years. This is called 'Depreciation'. Get a few overlapping at once, and it can make a massive difference in your taxable income. I try to buy at least one large ticket item each year. Go ahead, do it! Knowing what your competitors are doing, or how they do it, is considered market research. So splurge a little and buy those books you've been wanting! This is one of my favorite deductions Not only is it a large one, but you truly gain something from it. People often overlook educational expenses. Personally, I try to do at least one workshop a year. Not only does it keep me growing artistically, but it sets a good precedent on your taxes. The workshop itself does not need to be attended in 2015 to be applicable, you only have to pay for it in 2015. Even the flight and hotel to get to said workshop are deductible. Check out SmartSchool and TLC Workshop for some wonderful options. Just like a workshop, these are considered educational expenses. Hiring a model is no different than buying a new canvas when it comes to the costs associated with making art. So why not hire a friend, or better yet, professional model for a quick year-end shoot? Even if you don't have a specific painting in mind, you can should assorted reference, or take a few shots of paintings you hope to do next year. You don't always have to buy a whole new computer to write it off, even the upkeep is deductible. So buying some new RAM, a new tablet, or even purchasing a new painting program are all great tax deductions. Seriuously? Seriously! Did you know that if your job requires that you look professional, you can write off gym memberships and clothing? This is much the same for artists. Sitting at your computer for 8 hours a day is unhealthy and reduces productivity. Getting a massage to work out those kinks in your back and wrists are legitimate expenses. Entertaining a business associate is probably the most enjoyable expense you can write off. 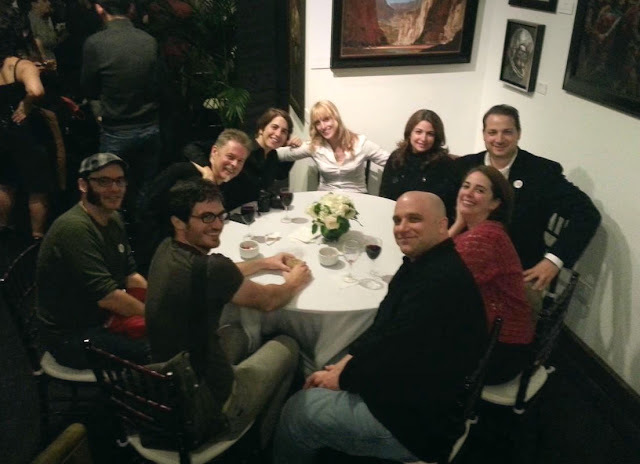 You know that old art buddy or college roommate that you never seem to go out with any more? Call them up and take them out for dinner. Ask them what they've been up to, talk about the future of your careers, discuss those cool new art books you got for the Holidays... and then promise to do it again next year! The entire meal is a tax write off, and if you decide to pick up your friend's tab too, even better!